When will be The Gospel Truth with Andrew Wommack next episode air date? Is The Gospel Truth with Andrew Wommack renewed or cancelled? Where to countdown The Gospel Truth with Andrew Wommack air dates? 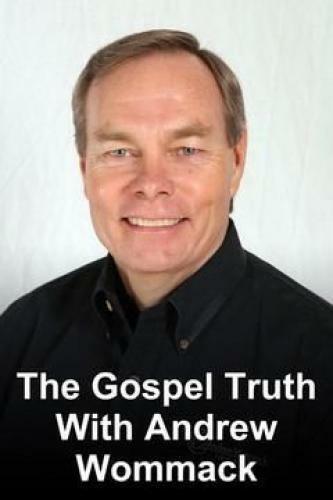 Is The Gospel Truth with Andrew Wommack worth watching? Thirty-two years ago a man had an encounter with God that changed his life forever. Today, he shares that experience with thousands of people all over the world. The goal of Andrew Womack is to reach as many people as possible with the love of God and message of grace and faith. He doesn't measure the success of the ministry by the number of tapes distributed, books sold or offerings received. The real rewards, and proof that God is alive and working in people's lives, are the many testimonies he receives from the people impacted by his teachings. The Gospel Truth with Andrew Wommack next episode air date provides TVMaze for you. EpisoDate.com is your TV show guide to Countdown The Gospel Truth with Andrew Wommack Episode Air Dates and to stay in touch with The Gospel Truth with Andrew Wommack next episode Air Date and your others favorite TV Shows. Add the shows you like to a "Watchlist" and let the site take it from there.